Future drops his new album on January 18. 2018 was a huge year for Atlanta music. Janelle Monáe scored a Grammy nomination for her album Dirty Computer, which NPR ranked as its No. 1 record of 2018. Meanwhile, Donald Glover shook the internet with Childish Gambino’s “This Is America” video, a track that earned the Stone Mountain native four Grammy nods of his own (and was named NPR’s No. 1 song of 2018). Then there were the newcomers: Atlanta rappers such as Lil Baby and Gunna burst onto the charts in 2018, with songs like “Drip Too Hard” and “Never Recover” with Drake popping up all over the Billboard Hot 100. But 2019 could be even bigger. Some of the city’s most high-profile artists are set to release projects this year, and while not every album is officially confirmed, there’s a lot to be excited about. Here are 10 Atlanta albums to (hopefully) look out for in 2019. Future was as busy as ever in 2018. The Atlanta rapper released two mixtapes in 2018, curated the soundtrack for the Superfly remake, and welcomed his fifth child, Hendrix, into the world. 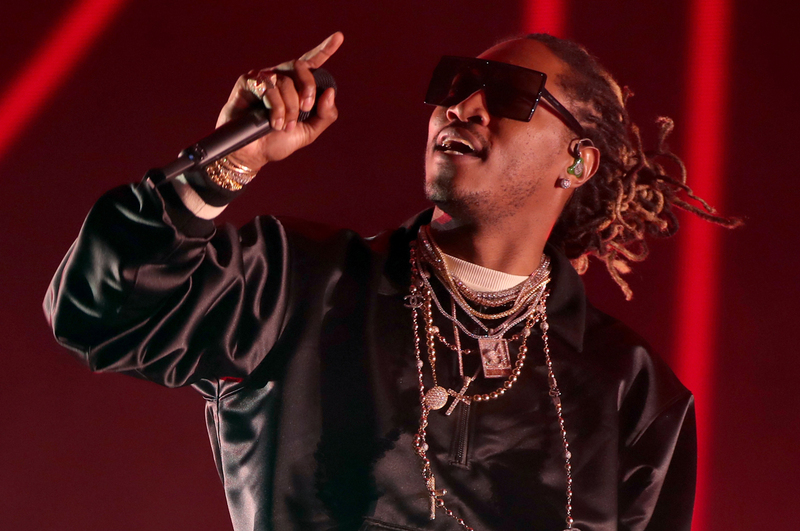 But he’s not done yet: Future will return on January 18 with The WIZRD, a new album and feature-length documentary. Marietta native Bradford Cox has been an Atlanta indie staple for almost two decades now, releasing seven albums with Deerhunter since forming the group in 2001. Cox will add another record to that count this month when Deerhunter releases its latest project, Why Hasn’t Everything Already Disappeared?, on January 18. Atlanta rapper Killer Mike mostly took the year off from Run the Jewels, instead focusing on projects like launching his Netflix show, joining the High Museum’s board of directors and opening a barbershop inside State Farm Arena. In October, RTJ released a new track for the Venom soundtrack, and El-P, Killer Mike’s partner in the critically acclaimed duo, wrote on Instagram that Run the Jewels 4, a follow-up to 2016’s Run the Jewels 3, would likely arrive this summer. It’s a fact: The Coathangers are one of the best punk bands in America. The Atlanta trio has been around since 2006, and their latest record, 2016’s Nosebleed Weekend, earned glowing reviews from outlets like Spin and Paste magazine. The band’s sixth album, called The Devil You Know is due out March 8. What didn’t Donald Glover do in 2018? The multi-talented entertainer spent the year hosting Saturday Night Live, starring in a Star Wars movie and racking up Emmys for his TV show, Atlanta. He also released three songs, including the hugely successful “This Is America.” Glover has said he plans to retire his Childish Gambino persona after this next album, which has no set release date but will likely include some of the new music he debuted during his fall 2018 tour. Zac Brown ended 2018 with more than his share of big announcements. The country singer released dates for his spring 2019 tour back in November, then gave fans a new song to go along with the news. The EDM-inspired “Someone I Used to Know” is the band’s first single in more than a year, and Brown’s recent activity suggests a follow up to the group’s 2017’s album, Welcome Home, may be on its way. 2 Chainz really knows how to build suspense. The College Park-born rapper announced the name of his next album, Rap or Go to the League, almost a year ago, but he gave fans no indication of when to expect the project. It seems like that date will be sooner rather than later though, as 2 Chainz has dropped a number of singles over the past few months—including November’s “Hot Wings,” in which he raps about Atlanta wing haven American Deli. Ciara hasn’t released an album since 2015’s Jackie, but it looks like her musical hiatus is finally over. The Atlanta singer raps, “my comeback on one hunnid,” in her 2018 single, “Level Up,” and it’s clear she meant it. Since then, Ciara’s dropped two more new tracks, and last month she told Billboard that she has plenty of new music ready for 2019. Songs like “Shine” and “December” made Collective Soul into radio megastars during the 1990s, and the group has hardly slowed down since. The band has released nine studio albums since forming in Stockbridge in 1992, and at least one more record is on the way this year. Frontman Ed Roland told the Atlanta Journal-Constitution that the group’s latest album, Blood, will come out in April, adding that fans could expect a second, untitled project this fall.